Mary Lawrence studied biology and chemistry, graduating from Indiana University with a degree in Cytotechnology. She lives in Maine. The Alchemist's Daughter and Death of an Alchemist are the previous books in the Bianca Goddard Mystery series. Visit her at www.marylawrencebooks.com. It is 1543 in London, and Henry VIII is distracted by many things. He is courting Katherine Parr, is planning an invasion of France and his health is failing. For the ordinary people around Southwark, surrounded by poverty and greed, living in crowded slums with illness and disease constant threats, life is about survival. 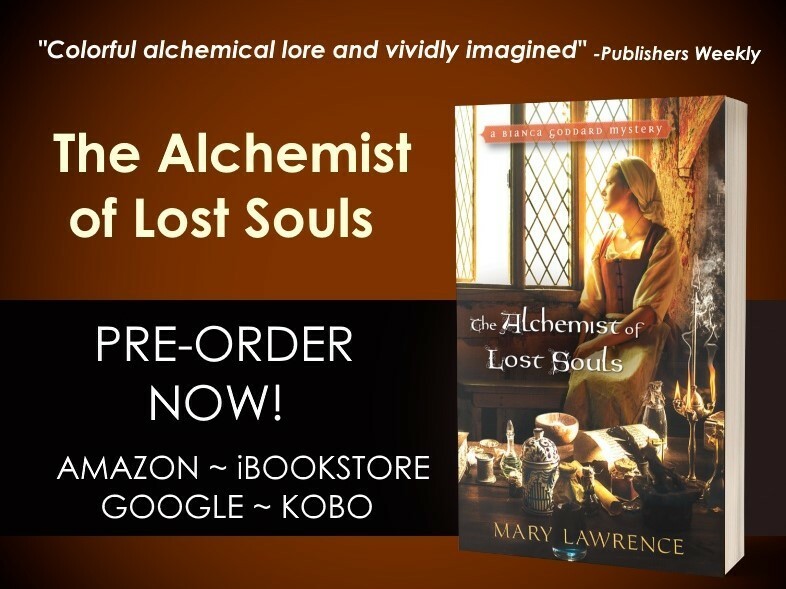 Bianca Goddard, the daughter of a notorious alchemist, uses her knowledge of herbs and medicinal plants to make her living by making medicines. She sells her medicines to the poor in the Southwark slums. Plague is a near constant threat in Tudor London, and can spread rapidly. When a merchant ship is quarantined, there are rumours. And when outbreaks of pestilence spread, there’s an urgent demand for rat poison. Bianca’s friend Jolyn seeks her assistance for painful abdominal cramps, and dies suddenly after drinking tea at Bianca’s. Not surprisingly, Bianca is accused of murder. While Bianca believes that someone was poisoning Jolyn, Constable Patch believes Bianca responsible. Can Bianca find out how Jolyn was killed, and by whom? I had trouble imagining Patch actually saying ‘How pedestrian’, but that’s okay. There are a number of different threads, a few red herrings and a lot of rats in this story. Ms Lawrence depicts the squalor and the hardship well. I can hear the rats(!) and smell the waste. The setting is well described, the story moves at a quick pace and while some aspects are less believable than others, Bianca Goddard is an interesting character. I understand that this is the first novel in a series of mysteries, and I’ll be looking out for the next one. Note: I was offered, and accepted, an electronic copy of this novel for review purposes. 2.0 out of 5 starsRATS! If you have an aversion to rats or are squeamish about human waste I strongly advise you not to pick up this book! The book begins with the `Rat Man' skulking along the Thames looking for rats to devour - all of which is described in excruciating detail. How he is germane to the story is never explained. 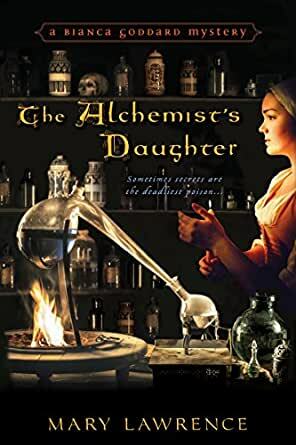 The `Alchemist's Daughter' Bianca Goddard is not herself an alchemist - she is a `chemiste' happily mixing up her herbal concoctions in her "Medicinals and Physickes" room. Her friend Jolyn comes to her for medicine to help her stomach trouble and after taking Bianca's medicine Jolyn promptly keels over dead. Bianca determines that Jolyn has been poisoned. Bianca is the obvious suspect so she must now find the true culprit before she is arrested. A good, if not original, idea for a mystery. However, it is the vile, abhorrent, foul descriptions of 1543 London - which may or may not be accurate, that I found repulsive. Rats are used in abundance, I suppose, to create an atmosphere but when something is used overmuch it tends to lose its value.